Photo of: Midlands of Ireland: Carlow: Altamont House. 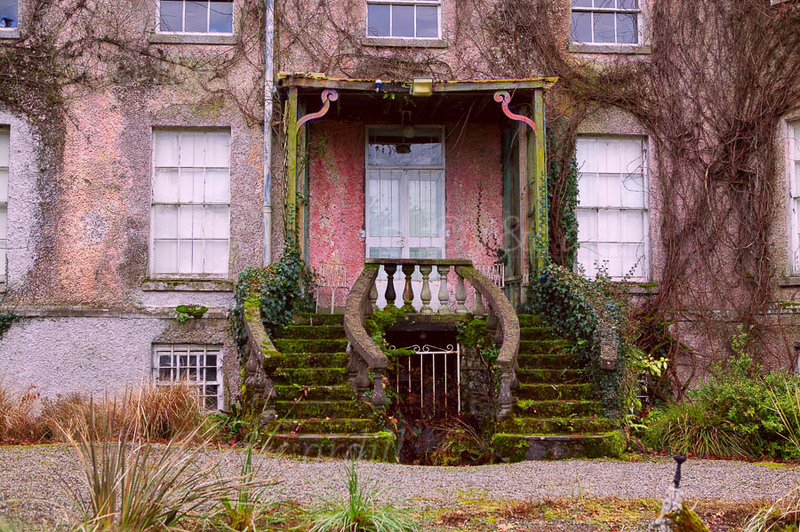 The dilapidated back entrance to Altamont House in County Carlow. Altamont gardens is an enchanting blend of formal and informal gardens located on a 100 acre estate. It ranks in the top ten of Irish gardens and is often referred to as 'the jewel in Ireland's gardening crown'. The river Slaney runs at the back of Altamont gardens.